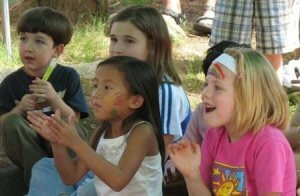 During the summer months, the Northampton Survival Center’s Kids’ Summer Food Program provides eligible children with free food packages to help feed them breakfast and lunch every weekday for ten weeks during summer vacation. Children living in any of the 18 communities in our service area who receive free or subsidized meals through their school are eligible to receive this food. 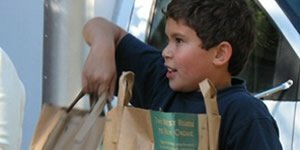 Every eligible child receives groceries including grains, fruits, vegetables, dairy and protein. Families pick up food for the Kids’ Summer Food Program during our usual pantry hours at the same time that they are getting their regular package of groceries. Both our Northampton and Goshen locations distribute Kids’ Summer Food Program packages. The Pick Your Own Community Harvest Program at Abundance Farm is an amazing opportunity for our clients to pick their own vegetables, herbs, and flowers in the garden planted for sharing with the community at Northampton Survival Center. Abundance Farm is a collaborative initiative of Congregation B’nai Israel, Lander Grinspoon Academy, and the Northampton Survival Center. The Pick Your Own program at Abundance Farm is a community harvest event that happens twice a week throughout the growing season. Guided by Jewish agricultural values of justice, dignity, and abundance, community members from all walks of life- children from the partnering schools, neighbors biking along the bike path, clients from the Northampton Survival Center, college students, synagogue members, and more to come to the Farm, partake in the harvest, enjoy food together, and spend time on the Land. Pick Your Own takes place every Monday from 10:00 am – 1:00 pm and Thursday from 3:00 – 6:00 pm from June through October. Beginning in March 2013, a popular Fresh Dairy Program replaced powdered milk with fresh milk from Our Family Farms, a local dairy cooperative. For this effort we’ve secured funding from an anonymous family foundation, and have brokered an excellent deal with the local dairy farmers through Our Family Farms who are grateful for steady stream of income from this order of hundreds of half-gallons each week. Clients are thrilled because they all prefer fresh milk to powdered, and we know it supports area children in choosing to eat a nutritious breakfast of whole grain cereal and milk, rather than an easy-to-grab sugary alternative. 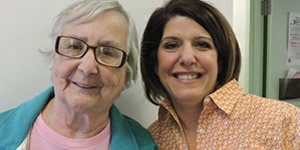 During the month of November, the Northampton Survival Center distributes additional traditional Thanksgiving items such as potatoes, cranberry and squash to each client family when they come in for their regular package of groceries. Depending on availability, clients can pick up a cake or cake mix for their birthday when they pick up their regular package of groceries. 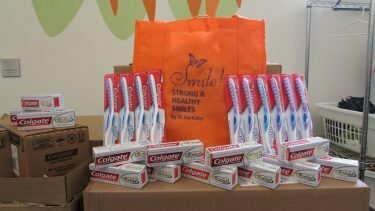 The Northampton Survival Center accepts donations of shampoo, soap, toothpaste or any other toiletries. If we have any of these items available, clients can choose one item each time they come in to pick up their regular package of groceries. We are excited to be reconfiguring our weekly program. Over the past few years, we have been giving out more food, especially fresh produce, which has led to longer wait times. Therefore, we are making changes to the pantry to help us offer more food and make the process go as smoothly as possible. If you have clothing to donate, you could consider donating to these organizations. We are still happy to receive donations of cookbooks and children’s books here at the Survival Center. Dakin Pioneer Valley Humane Society provides the Northampton Survival Center with cat and dog food for our clients’ pets. Based on availability, clients can get one bag of dry food for each pet in their household (limit four) when they pick up their regular package of groceries.